VOIP solutions are a constantly growing sector of the telecommunications industry, but if you have not yet implemented VOIP solutions in your business, you may be wondering how you can put them to use for you. Here at Tekulus, we offer a variety of IT solutions and one of those happens to be VOIP solutions, so today we’re dropping by to share 9 ways that your business can benefit from VOIP solutions. If your company is still utilizing traditional telephone lines for your communication needs you could benefit from the cost savings of a VOIP. 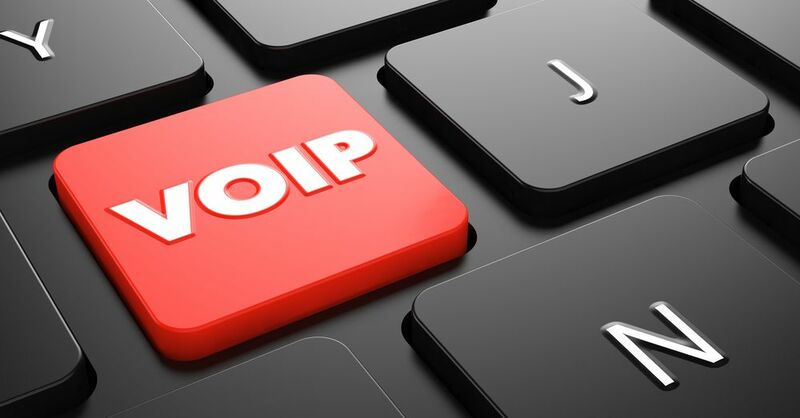 VOIP uses your internet connection rather than a traditional phone line, eliminating the need for a phone line altogether. When you implement VOIP solutions in your offices, you increase your availability both for interdepartmental communication and for client contact with your employees. Gone are the days of having to install a large number of landlines to support call centers and the cost that comes with it. VOIP also allows multiple employees to provide phone services to multiple clients without other clients who are calling in receiving a busy signal. A curated VOIP solution for your business allows your company to function more efficiently by providing mobile communications solutions. No longer are you or your employees limited to communication with clients at your desks. Whether you’re taking a sick day, out of town on business, or doing a little work after hours, a VOIP solution allows for your desk phone and smartphone to sync seamlessly so that you can access voicemail, take calls, make calls, and even attend those telephone conference calls. Using a VOIP solution rather than a traditional phone line, your employees can take multitasking to the max. With all communications synched, a single employee can be on hold with another department, reading an email transcription of a voicemail from a call that was just missed, and if that voicemail warrants it, they can forward it on to other associates with just the click of a mouse! No one has to wait for a phone line to be free or worry about missing another important call because VOIP is the ultimate multitasking solution. VOIP solutions are really beneficial when you start talking about conference calls. If you regularly use conference calling in your business then you know the problems that traditional conference calling can create. There are no additional fees for supporting conference calls, no lines that need “patching in” and dropped callers are a thing of the past. Using converged data networking, VOIP conference calls are simple, connections are great and there are far fewer confused employees trying their hand and failing at joining calls. For the average household, fax machines are no longer, but for the average business fax machines still play an important role. Unfortunately, that can become a problem when traveling. Sure, it’s no problem if you’re staying in a luxury hotel with a business center on location, but what about when you need to fax that contract over the Christmas break and you’re in a ski lodge in the middle of who knows where? At Tekulus, our VOIP solutions also offer the option of E-fax. E-fax allows you to send out that fax without the need of a fax machine plus it allows you to directly fax from a business fax number no matter where you are in the world! Conference calls are a necessary evil for most businesses but they aren’t always the best way to get a message across. Some things are certainly better said in person, but when that isn’t possible, video conference calling is a good in-between. Unlike telephone conference calling, video conference calling allows members of the call to see each other and interact on a more personal level. This doesn’t just mean that you can make a better case when arguing for a new computer system for your business branch, it also means that employees and clients are more accountable during calls. With traditional conference calls engagement may be lacking and participants may even appear to be preoccupied with other tasks, but with video conference calling, you can ensure that each participant in the call is actively participating and completely engaged. When your company relies on VOIP solutions rather than traditional telecommunications options, you are relying on software rather than hardware. There are no longer physical telephone lines to troubleshoot and maintain, rather there is simply software to update and this comes at a much lower cost financially and time-wise to your company. When your company utilizes VOIP solutions rather than traditional telecommunications options, you no longer have to be concerned about having data stored across multiple devices and networks. VOIP consolidates all of your data into one location so that it’s easily managed and you spend less time jumping between devices in search of documents or voicemails that have been misplaced or lost in transitioning from one form to another. Allow Tekulus to Help You With Your VOIP Solutions Today! If you’re convinced that VOIP solutions bring enough to the table to implement them in your business, allow Tekulus to help! We have a full array of VOIP solutions that we can put to work for you in a customized business package designed specifically with your needs in mind. Just give us a call today at 510-592-8530 and let us improve your business efficiency!